The good news is that you’ve gotten multiple offers on an open listing. The bad news, you accidentally sent out two counter-offers. What should you do? One of our clients faced that exact situation. Our client realized that this put the seller in a potential situation of being under contract to sell to two buyers, if both accepted. Fortunately, our client called CRES ClaimPrevent® Risk Management Services for guidance on how to end or withdraw one of the counteroffers quickly. Get written confirmation from your client of the counteroffer they wish to withdraw. Advise them to draw a diagonal line across each page of the counteroffer. They should then write Withdrawn and date and initial each page. Scan and send or fax the document to the other party’s agent, noting that the counteroffer has been withdrawn. Send 3 copies of the transmission documents showing when the withdrawal was sent and file them for your records. 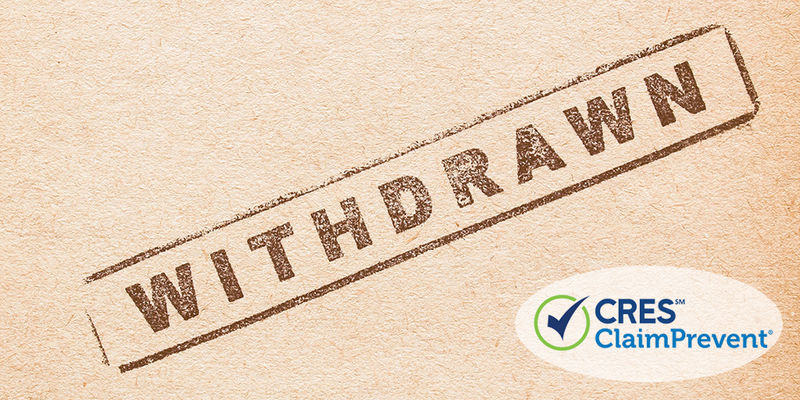 Note that you can use a similar process to withdraw an offer before it has been accepted. Documentation is essential. Oral statements about withdrawal of an offer or counteroffer rarely pass with a jury. Make sure it is in writing and that you can document transmitting the withdrawal. Our client was able to work with the seller to withdraw one of the counteroffers before it was accepted, which eliminated the risk of being under contract to sell to both. Our client knew exactly how to document the withdrawal to reduce risk of legal issues from this incident in the future. Quick action to withdraw an offer or counteroffer before it is accepted is important. 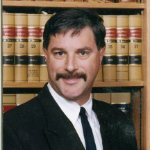 A well-documented paper trail of the withdrawal is equally important should you get sued. If you run into a sticky situation with multiple counteroffers like our client, who would you turn to? With CRES Real Estate E&O + ClaimPrevent®, you’d have access to a real estate legal advice team to help you avoid real estate legal issues. You won’t have to search for and hire an attorney to answer questions or provide guidance, you can just dial your ClaimPrevent® hotline. What steps have you taken to avoid problems from multiple offers or counteroffers?